Worship at Emmaus stands in a living tradition that is, by its very nature, both ancient and contemporary. It joins us with the saints of the past 2,000 years, while sustaining those whom the Holy Spirit continues to call into His fellowship. Because we treasure this catholic nature of our faith, we gladly follow the church’s historic liturgy. Its timeless patterns and cadences give structure to our spiritual life. Preaching, too, is important here, as one would expect of a Lutheran parish. Sermons are based on one of the Biblical texts appointed for the day, and faithfully proclaim Jesus Christ as “the only name given under heaven by which we must be saved” (Acts 4:12). 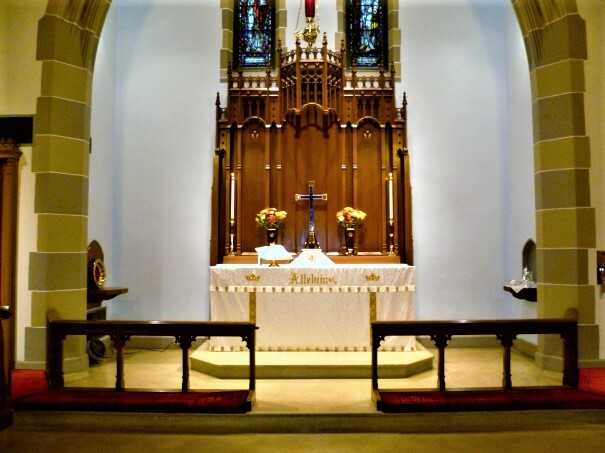 We gather for the Divine Service at 10:30 on Sunday mornings, seasonally alternating Settings One, Two and Three in the Lutheran Service Book. We also sing Vespers on Wednesday evenings in Advent and Lent, and offer additional liturgies on major holy days. Please check the home page of this website to confirm the times of all special services. The congregation’s singing is supported by a 16-rank Wicks pipe organ (Opus 3855), which we keep well-tuned and in good repair. Our very accomplished organist, Ms. Chien-Yin Chen, earned her B.Mus. and M.Mus. degrees at the University of Music and Performing Arts, Vienna, and has served at Emmaus since 2008. Her preludes, offertories and postludes will delight anyone who enjoys beautiful church music.